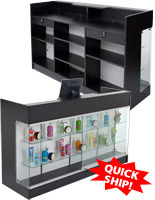 These black merchandising counter configurations are great for retail stores because they include thirteen furniture units. 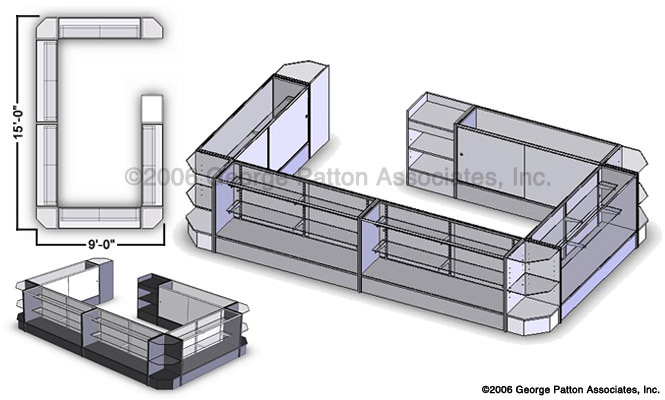 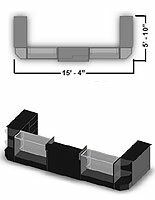 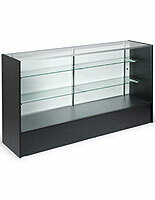 Included are five 72" display cases with clear, adjustable height shelves. 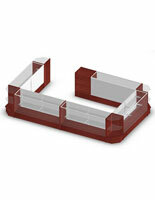 In addition, the merchandising counter configurations feature four corner units and a register stand with a pullout drawer. 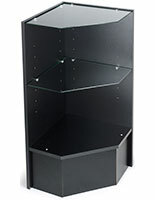 The retail store sets with adjustable height shelving will protect wares for display with their sliding and locking doors. 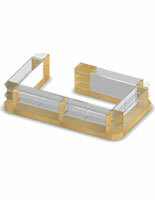 The counter configurations are fully assembled when shipped and their pieces only need to be put next to each other. 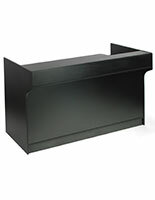 The kits with a pullout drawer create an island style layout that's ideal for the middle or a room or by a wall.